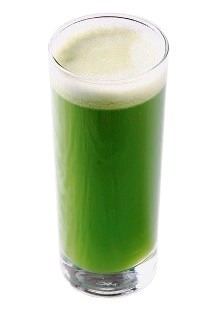 One of the best fasting juice recipes is the Five Green Juice. This is also one of the most popular vegetable juice recipes with outstanding results for weight loss and detox. Hence I’m please to present this free juicer recipe for fasting. In fact, I didn’t invent this. It is from the traditional Chinese wisdom. Chinese has long been using this recipe to achieve outstanding weight loss and detox results. In Hong Kong, I can easily purchase a glass of fresh 5-green juice from any juice store and they are made to order. And if you are doing juice fasting, a daily glass of fresh green juice is highly recommended. 5. Try to have it at least once a week. 6. Recommended to DIY at home, so your family members can enjoy this delicious and healthy drink. See my recommended juicers below. Apart from making the 5 Green juice, I strongly encourage your learning to tailor your juicing to your current needs. Juice can detoxify and cleanse your body and make you feel energized and look vibrant. View the Tailored Juicing exclusive video to find out how to get results in 7 days or less.